It's always FUN to find a bright orange Shutterfly envelope (or in this case BOX) in the mail! I had a huge order of prints from all those photos I processed to finish up my 2014 digital workflow last month. As I was sorting through the photos, organizing them by event or story, I chose a couple to go ahead and scrap right away. It's a fairly simple layout really, but it wasn't coming together like I wanted until I found that black netting in my stash. I'm not even sure where it came from, but I think it pulled everything together nicely. What do you think? 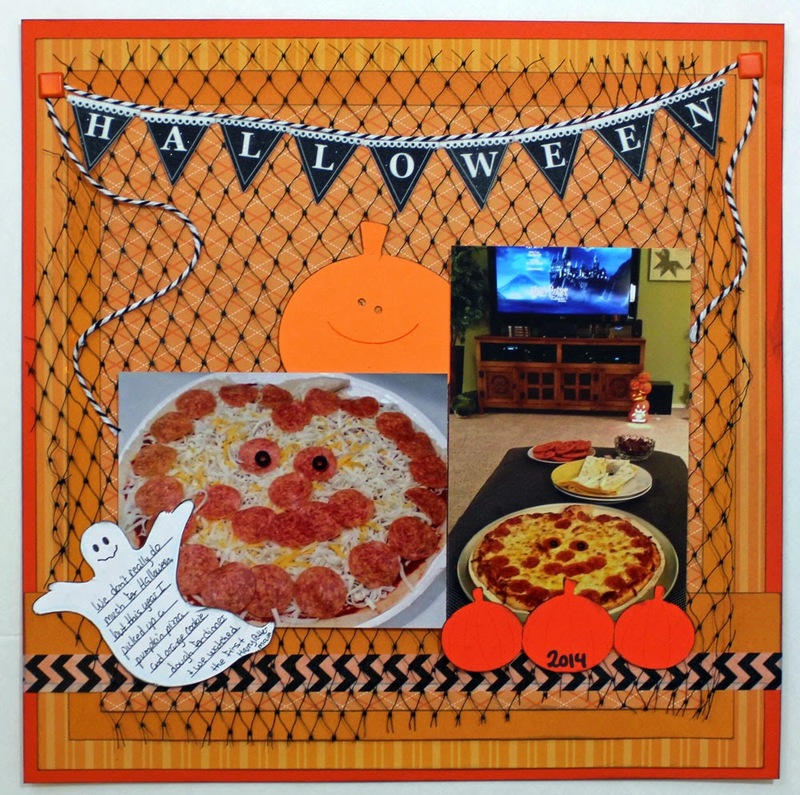 The black netting is PERFECT for this fabulous Halloween page! I love it!! Love this layout! I'm a huge fan of orange, and I love that banner across the top. I'm eagerly awaiting a bright orange envelope from Shutterfly as well. Yes, I love the netting. It adds great texture and holds everything else on the page. This makes me want to go scrap some Halloween photos I have as well - it reminds me of a transparency that I think will work just perfectly. 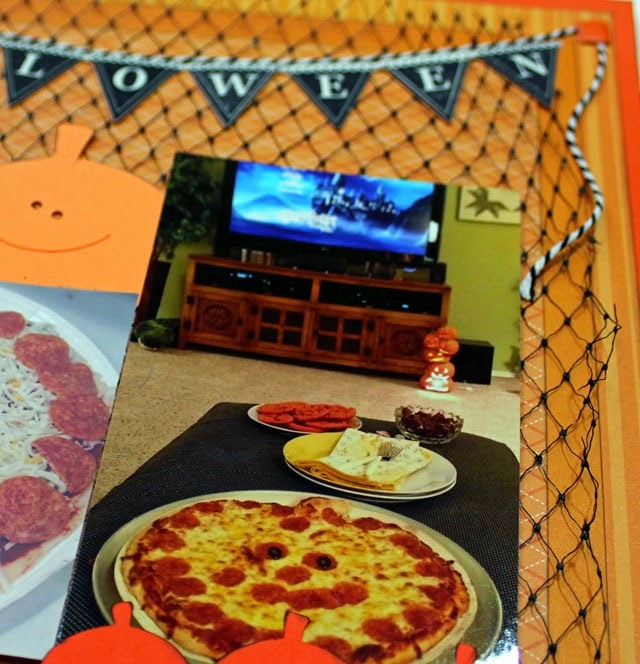 That netting is great - and I love the pumpkin pizza! Yep! That black netting is just the thing!